Holiday season is upon us! Besides planning some awesome events, we wanted to share our updated business hours during the holidays, so that you can plan accordingly! New Year’s Eve: 12/31/17- 11:30am-12:30AM *Extended business hours for New Years Eve Bash! 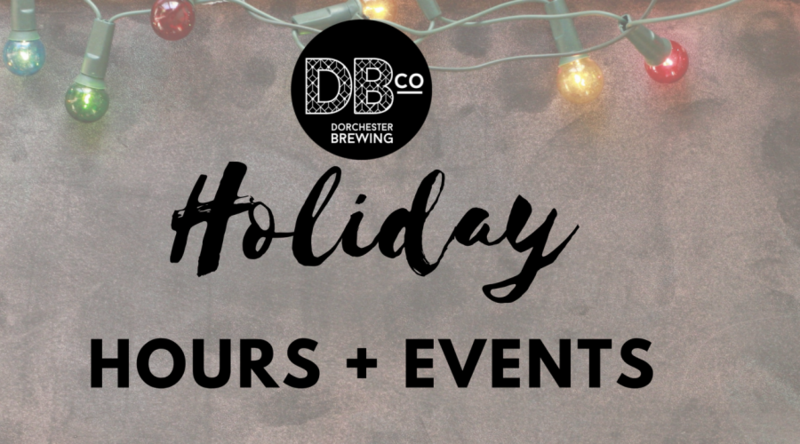 Don’t forget to stock up for your next holiday party – When you buy 3 Crowlers (32oz cans), you get a FREE DBco branded glass through Christmas! We also have gift cards available for purchase in any amount in the Tap Room or online. © 2019 DORCHESTER BREWING CO. All rights reserved.